The Society is a Member of the International Federation of Translators (IFT), an international grouping of associations (not individuals) of translators, terminologists and interpreters with more than 100 affiliates from 55 different countries. The body represents approximately 80,000 translators through their associations, and they are the ones who are best buds with UNESCO (it maintains a consultative status with this agency of the United Nations). NZSTI has three different categories for translators and interpreters to join, depending on their qualifications. Those with an interest in these professions who do not have any type of NZSTI-approved qualification, can join the society in the quality of observers. Those translators and interpreters who have attended part-time training courses or similar which do not qualify them for ordinary member status can join the society in the quality of affiliates. These guys also get to be listed in the NZSTI’s Online Directory. Finally, there is the ordinary member category, for the most highly qualified translators and interpreters, to which I have just been admitted by means of my university degree from the School of Languages, National University of Córdoba (eternally grateful to them and my home country, Argentina, for offering public, high-quality education). The membership allows me to vote at the society’s Annual General Meeting and offers me a translator stamp for certifying translations in my language pair. Very professional, if you ask me. 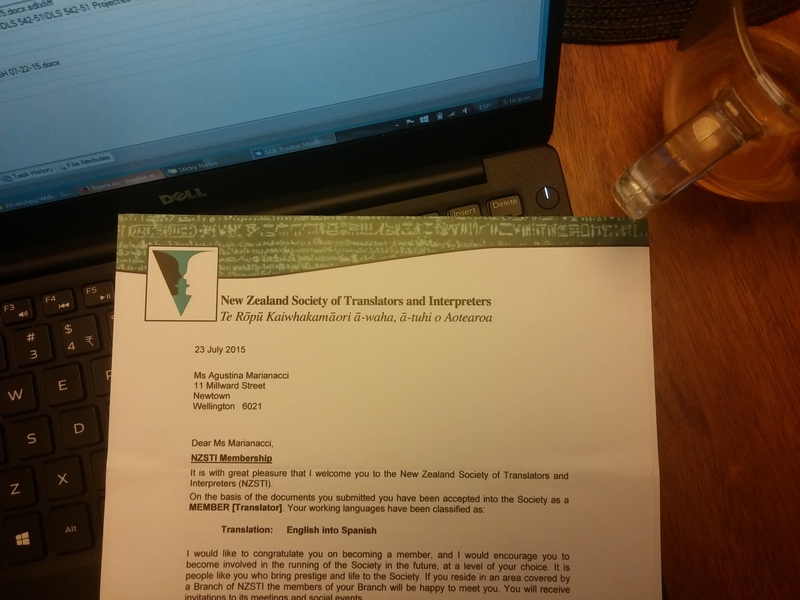 I’m now really looking forward to becoming a more active member of the kiwi translation landscape! Previous Entry New Business Cards!